This stuffed zucchini recipe calls for rice as the main stuffing. Any style of rice would work or you can use quinoa if you prefer. Handle with care to keep the stuffing in the squash. 1. Cut zucchini lengthwise and scoop out flesh and discard. The shell should be about 1/4 inch thick. Combine remaining ingredients, except cheese, in a medium bowl. 2. Preheat the grill for medium heat. While grill is heating, transfer 1/4 cup of rice mixture into zucchini shells. 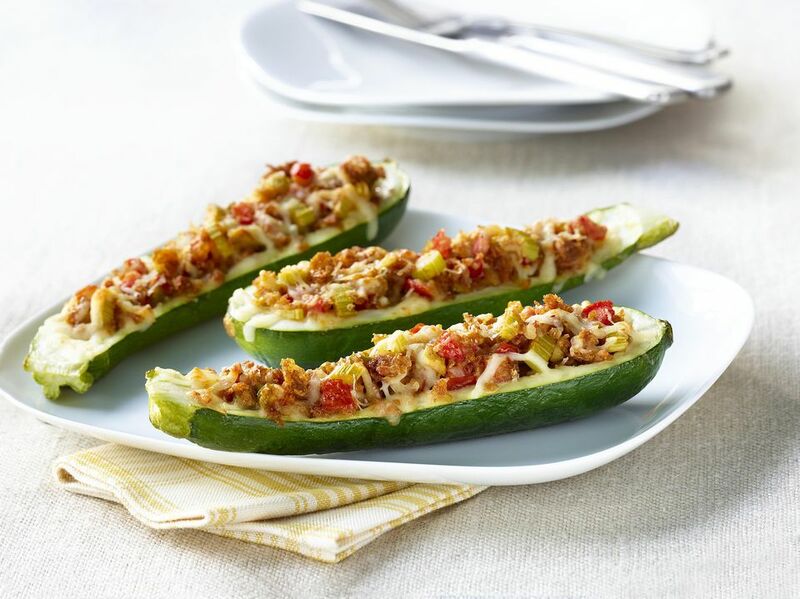 Top each filled zucchini with cheese. Place onto a lightly oiled grill rack and allow to cook for 10 minutes, When zucchini is soft and cheese is melted, remove from heat and serve.